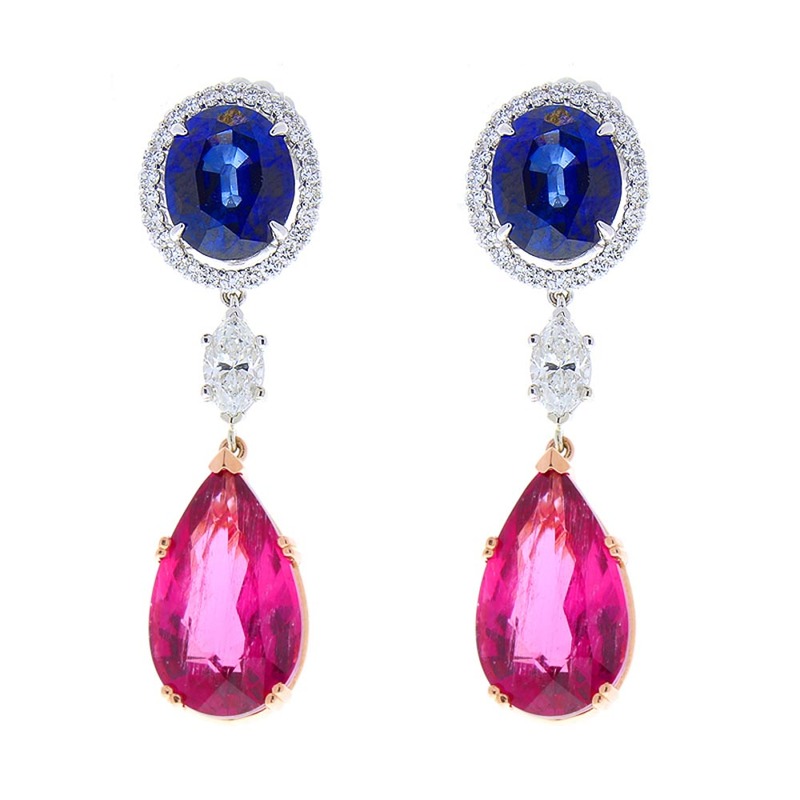 This pair of stunning drop earrings makes a statement of incredible style. It's all color. Your eye will be drawn magnetically to the 8.33 carat total of royal blue sapphires that are surrounded by a dazzling halo of round brilliant diamonds. The sapphires are from Sri Lanka. The luster and color are exceptional. Dropping from that are sparkling marquise cut diamonds that bring the combined earring diamond total to 1.72 carat total. Lastly, elegant 13.05 carat total vivid dramatic pink pear shaped Rubellites, sourced from Brazil, terminate in the most amazing way! These earrings are crafted of 14 Karat white and rose gold.